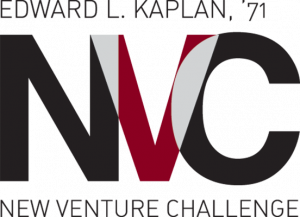 The Polsky Center has announced the 33 teams advancing to the semifinals of the 2019 Edward L. Kaplan, ’71, New Venture Challenge (NVC). This year’s cohort had a record-breaking 92 applications submitted for consideration. The NVC is the University of Chicago’s nationally ranked accelerator program that has graduated more than 230 startup companies still in operation today. adjacent Advertising is installing weatherproof digital advertising displays on commercial delivery vehicles. Aegis AI provides AI software that automatically identifies guns and public safety threats in security camera feeds to notify security and law enforcement. Africana Airlines is an airline built on providing connectivity affordably and delivering a reliable service to make travel convenient in Africa. Airspace delivers a flexible menu of reliably high-quality services and tech solutions for private office spaces directly to companies and on behalf of landlords. Apollo Bar is an accessibly-priced sustainable high protein snack made with cricket powder for the Mexican market. Aula Digital is an educational online platform that uses adaptive learning to enhance high-school students’ performance in math, reducing the workload for teachers and principals. Beltech is an advanced battery material company working on lithium ion batteries. Benemind is a telemedicine platform that provides migraine patients with affordable prescriptions, holistic treatment, and ongoing support from board-certified physicians. Bug In Bug Out is creating live biotherapeutics that are designed to reduce bacterial infections in animals and humans. CrediHub is a credit marketplace that enables borrowers to access to the most suitable credit terms available in the Brazilian market. Digital Adventures teaches kids (Pre-K – 12) how to make their ideas real with technology. Dr. Lullaby helps solve sleep problems for children under 18. EGGRO ROLL is a delicious, mess-free breakfast, packed with savory, high-in-protein and flavorful ingredients with a hint of Korean flavors. elphi is a FinTech, B2B, SaaS company, streamlining the mortgage lifecycle from origination to securitization. Finch provides a software solution for wealth managers that automates trade data entry, aggregates critical transaction data, and provides an exchange-like platform to market participants. Five to Nine gives HR teams a unified tool to organize internal programs, analyze employee participation and measure overall ROI. FoodMed is the world’s first website and application that serves patients with IBS and IBD. GGLeagues is an eSports league that promotes community among gamers through structured competitive recreational leagues and live in person gaming events. Gumdrop Massage sells massage devices to both the professional and individual markets, with athletes on the go in mind. Homebuddy is a tech-enabled brokerage that provides a premium experience to homebuyers by continuing to support them after they purchase their home. Iris Light Technologies is delivering innovative manufacturing solutions for the rapidly growing optical sensors market. Kambista is a digital platform that exchanges the Peruvian Sol and US Dollar reducing the informal exchange market in Peru and Latin America. Kaoshi is a platform based financial technologies tailor-made for African banks to operate, keeping them competitive and innovative. Kumba is an online platform connecting veterinarians and pet owners for house call visits. Lavie Laundry provides a same day wash and fold laundry service. MyMBACircle democratizes access to MBA admission advice by connecting MBA applicants with curated mentors from top schools through low cost, on-demand, personalized coaching. My Art Cache is an online matching platform for art industry professionals, dealers and buyers. Perfect Fit is a virtual fit model that allows you to input your measurements and search criteria and an output generates specific fit, size, and styles per broad ranges of brands specific to your criteria. Quantitative MRI Solutions (QMIS) is a software-based cancer diagnostic technology to improve patient outcomes for diseases that suffer from diagnostic uncertainty. Sportacular is a social network platform providing AI-based data analysis to sports fans, amateur athletes and professional communities. TourneyLand is an interactive, web-based fantasy sports platform. Veda Grace is a virtual cosmetic dermatology service for women. Zenblen enables businesses to provide their customers with fresh, healthy smoothies through a robotic kiosk.